Conocedor is a company that started from the idea to create the sharpest cigar cutters ever made. Initially the goal was to create them for personal use but eventually the idea developed into a quality based cigar accessories company with an extended range of cigar accessories. 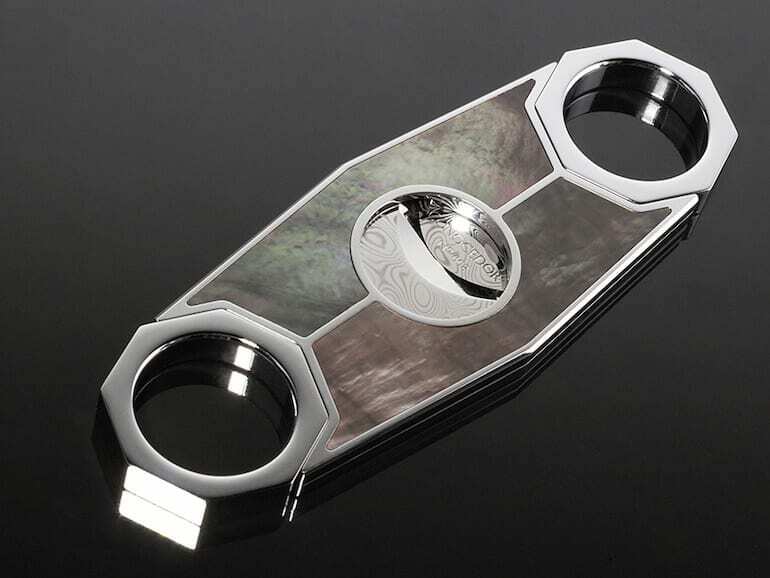 The cigar cutters Octa and Roswell are the result of over a year of daily work and in addition to appealing designs feature various features such as Damasteel stainless steel blades, mother of pearl inlays, hand engraved logo, CNC machined parts and unique friction free locking system. The blades are heat treated in temperatures over 1000 celsius degrees, hand polished, etched in acid(to bring out the damascus pattern) and finally sharpened by hand with unique sharpening method. The desktop humidors are creations with innovative features, such as marquetry lids(art made from pieces of inlaid colored veneer), hand engraving, premium quality woods and hardware. In addition to the pictured humidors on the website, Conocedor offers bespoke humidors that are built with the customer’s desired features. The marquetry art found on the lids of humidor models “Aires Habanos” and “Viñales” is full of vividness and detail created by master artisans. The third humidor model is the largest one, featuring a tray for a single row of cigars and is titled “El Capitan”, with high quality figured maple veneer. For Chinese market, Conocedor offers luxury made-to-order dragon themed lighter with solid gold, diamonds and rubies.